The Eurythmics show on Monday (July 28) opened with a big white zipper slowly parting a silver/grey curtain stretched across the Expo Theatre stage. It closed with singer Annie Lennox shedding her white shirt and traipsing around in a lacy red bra, slying asking “Would I Lie to You?”. 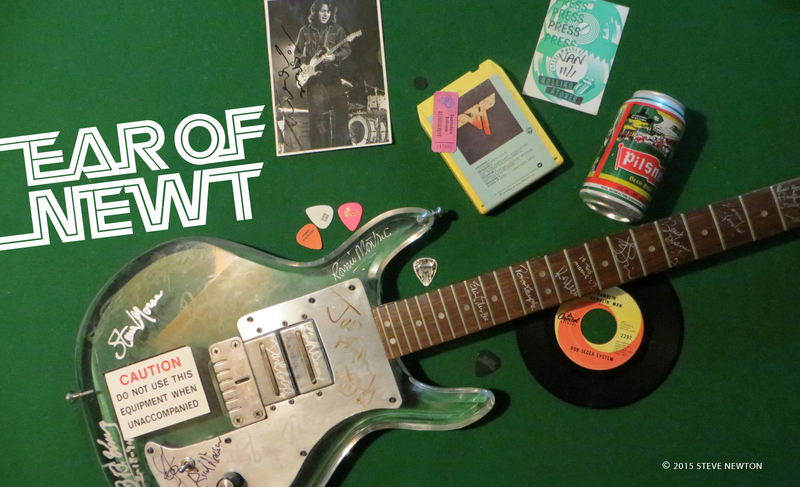 In between was a killer set of polished ’80s pop from one of the biggest acts around today. The show kicked off with “Sexcrime”, a track from the soundtrack Eurythmics did for the movie 1984. “Don’t sit down, ’cause you’re gonna have to dance,” said Annie as she led into “Let’s Go”, a tune off the new album Revenge, but the first person to run up the aisle dancing was quickly coralled by a party-pooping bouncer. “Doesn’t anybody like to dance up front?” queried bearded guitarist Dave Stewart, who obviously wasn’t aware of the theatre’s inane security regulations. “It’s sure different than in England,” he said. After a couple more tunes, including “Love You Like a Ball and Chain” from last year’s Be Yourself Tonight, Lennox told everyone to sit down. And they did. Fast. As images of clouds drifted on a backdrop behind the stage, she sang the big hit “Here Comes the Rain Again”, then left the stage while Stewart played a manic solo. Back on stage, Stewart played a few notes of the Beatles’ “Norwegian Wood” before moving into another great new song, “Thorn In My Side”. The stage lights were turned on to the crowd for “Sweet Dreams (Are Made of This)”, and they clapped and sang along on the chorus. Annie untucked her top and whipped it off for the set-closer, “Would I Lie to You”, and by this time a good portion of the 4,000-plus crowd were hopping up and down to the jumpy tune. 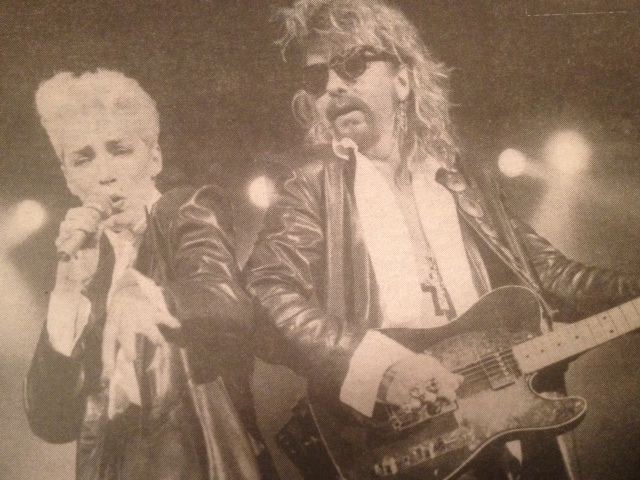 For the encore, Eurythmics played their current single, the rocking “Missionary Man”, as well as last year’s stomper “Sisters Are Doin’ It For Themselves”. Someone in the audience handed Dave a portrait of he and Annie, which he flashed to the crowd and seemed genuinely knocked out by. Lennox and background vocalist Joniece Jamison then recreated the same dance steps that Lennox and Aretha Franklin did together in the video for “Sisters”. The group left the stage again, but were soon called back for a second encore. With her coat back on to settle things down, Annie topped the night off with the ballad “Miracle of Love”.